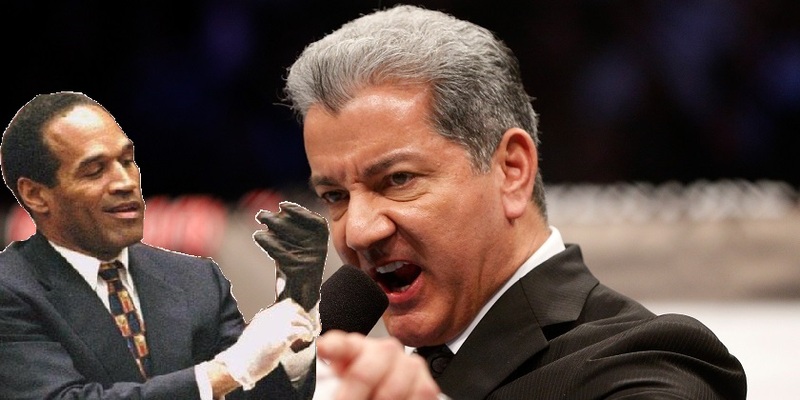 A TMZ reporter recently caught up with UFC ring announcer Bruce Buffer and asked him about famed former football player O.J. Simpson. Simpson was recently released from prison at 70 years of age. In 2008, Simpson was convicted and sentenced to 33 years imprisonment, with a minimum of nine years without parole after being charged with felonies for armed robbery and kidnapping. He served his sentence at the Lovelock Correctional Center in Nevada and on July 20, 2017, Simpson was granted parole. Buffer said that he was asked to introduce Simpson at an event about 10 years ago but turned it down.